Nothing’s better than cooking warm and delicious meals for your loved ones. It’s the only thing that brings the whole family together every day. Thanks to our friends at Baker & Salt England, you can now experience the most glorious and delicious meals, due to their unique and flexible creations. 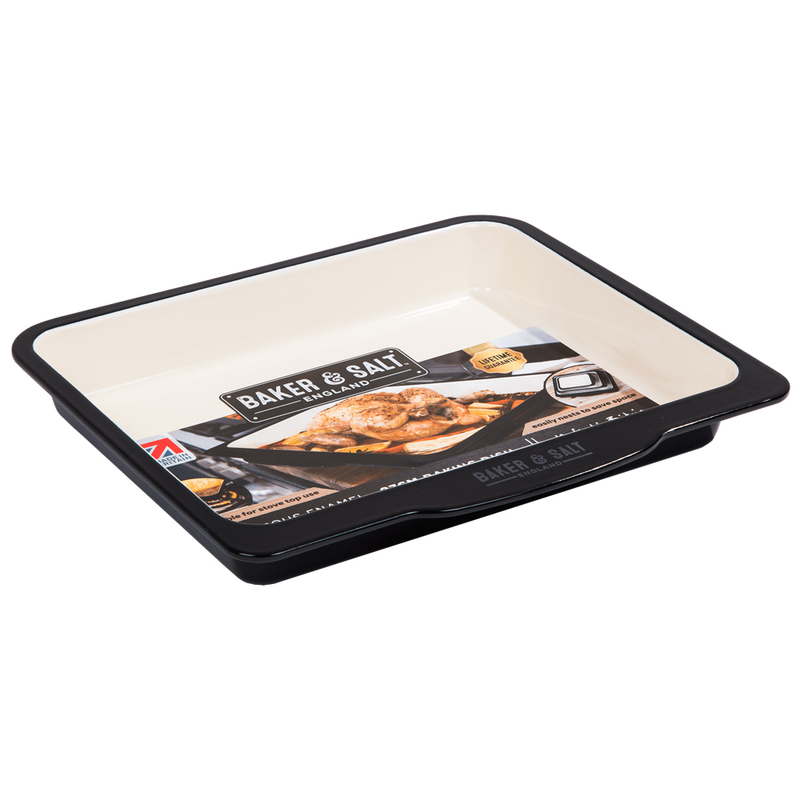 Varying from different sizes and styles, Baker & Salt England now provide a range of baking trays, giving you the comfort of being able to cook whatever you want, whenever you want. Be prepared to make anything and everything you dream about possible in the kitchen! Made and handcrafted in Britain. Made from high-quality vitreous enamel. Suitable for both sweet and savoury cooking. Can be used in the oven, induction, stove top cooking and BBQ. Handle has been integrated into the design of the tray to make the carrying process easy and quick. External Dimensions: 40.2cm (l) x 5.5cm (h) x 35.5cm (w) (Including Handle). Internal Dimensions: 37cm (l) x 5.5cm (h) x 29.5cm (w).